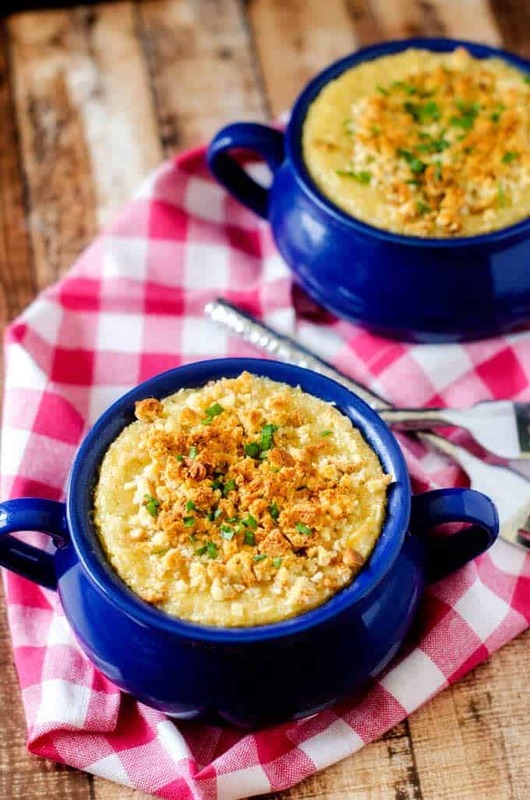 If you are looking for a quinoa recipe that kids love, give this Quinoa Mac and Cheese a try. 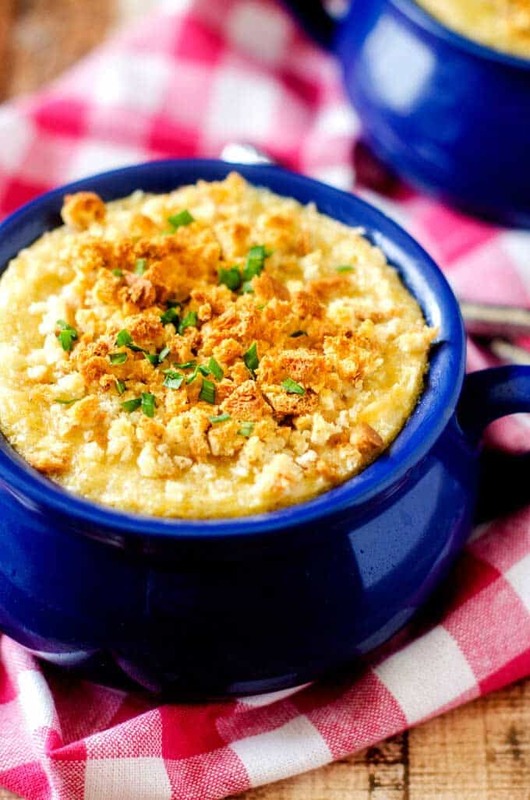 This recipe is the perfect marriage of the creamy yumminess of traditional Mac and Cheese combined with the health benefits of quinoa. It keeps perfectly for lunch all week and is a comfort food you can feel good about serving your family. From that age of ten, my signature dish was Macaroni and Cheese. From a box. The one with the powdered cheese sauce. I can remember having discussions with friends about the proper way to prepare it. Because apparently, cooking was my thing even back then. Although it has been more than twenty years since I’ve touched the boxed stuff, I still love my Mac and Cheese. I have a traditional recipe, which my boys dubbed “Mom’s World Famous” when they were little. It is pure comfort food, but not exactly something that you want to eat every day. It is often requested for birthdays and holidays. 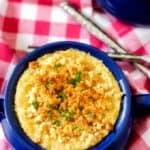 Since the whole family loves Mac and Cheese so much, I am constantly trying to think up ways to make it fit into our everyday diets a little better. Surprisingly, the results have been quite good. 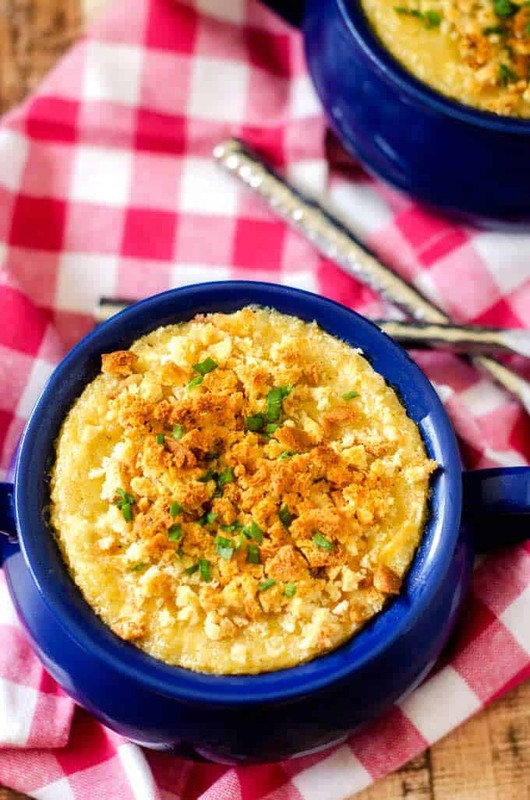 This Skinny Cauliflower Mac n Cheese is delicious and definitely one to try. I also love the slightly more indulgent Ultimate Veggie Mac and Cheese, which is a great way to sneak veggies in. Today, I’ve got a different twist on Healthy Mac and Cheese for you – Quinoa Mac and Cheese. I will be the first to admit that getting my kids to eat quinoa without complaint hasn’t always been easy. I also think that for them, part of the issue is that for years I only shared quinoa recipes online and because of that there was a LOT of quinoa being served at our house. Since even the pickiest of kids have a hard time resisting anything in a creamy cheese sauce, this Quinoa Mac is one way I can get them to eat quinoa without a tremendous amount of complaining. 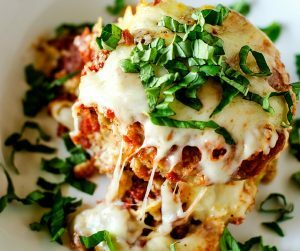 This is a quinoa casserole that I have made countless times and will continue to add into our family meal plans. If you are looking for a way to get your kids to embrace quinoa, this Quinoa Mac and Cheese is one of the best ways out there! 1.1 Do your kids eat quinoa without complaint? Do your kids eat quinoa without complaint? Want to up the nutrition game even more? Try adding spinach or broccoli. Another great option would be sautéed red bell pepper. Want to make this recipe quicker? Cook a big batch of quinoa during your weekend meal prep and skip steps one, two and three under cook quinoa. Make the sauce as instructed, ensuring your saucepan is large enough to add the quinoa to. Add the quinoa to the saucepan and heat through for five minutes. Skip the breadcrumbs and top with a touch of extra cheese if desired. 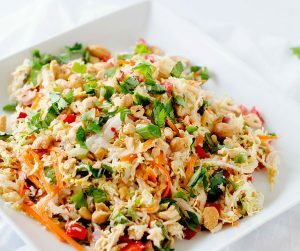 If you try this recipe and enjoy it, let me know by leaving a five star rating! If you are looking for a quinoa recipe that kids love, give this kid-friendly Quinoa Mac and Cheese a try. This Quinoa Mac is the perfect marriage of the creamy yumminess of traditional Mac and Cheese with the health benefits of quinoa. It is Vegetarian and Gluten Free and can be made vegan with the use of unsweetened cashew milk and vegan cheese. Preheat oven to 350 degrees. Spray a 2 quart casserole dish with olive oil. Place quinoa in a medium saucepan and heat to medium high. Cook for 5 minutes, stirring often. Add broth, salt and pepper. Bring to a simmer and then reduce heat to low. Cover and cook for 25 to 30 minutes. Remove from heat and place a clean dish cloth over the pot. Return lid to pot and allow to sit for 5 to 10 minutes. Heat a medium saucepan to medium heat. Add butter and cook until it melts. Whisk in cornstarch or arrowroot powder. Cook, stirring often for 2-3 minutes. Add garlic and whisk in for 30 seconds. Gradually add in milk, whisking to combine. Cook, stirring often, until milk mixture thickens, about 6 to 8 minutes. Reduce heat to low and stir in mustard, cayenne, cheddar and colby. Cook over low until the cheese is melted. Stir quinoa into cheese sauce and transfer mixture to prepared pan. Sprinkle with breadcrumbs and lightly spray breadcrumbs with olive oil. Bake for 25 to 30 minutes. Allow to cool for 10 minutes prior to serving. Bizzi, you are going to dry toast the quinoa to give it a nutty flavor first then add the liquids. I am all for trying any kind of mac n cheese and I don’t think I’ve ever had quinoa in it before, so this is something I am definitely going to have to add to my list. My boys love mac and cheese. I need to make this healthier version for them. This sounds so delicious!! Thanks for sharing, I will be making this! Can’t say I have ever thought about making mac and cheese with quinoa. What a great idea and much better for my family.